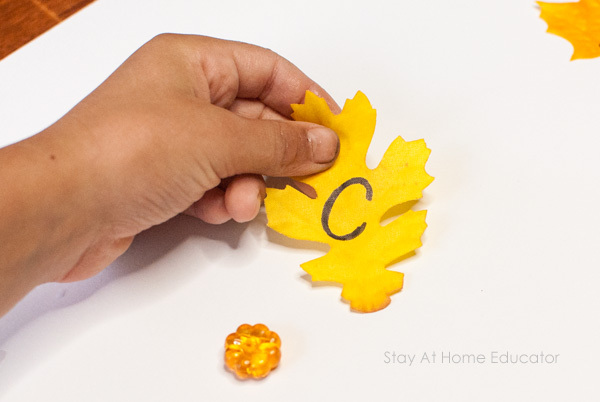 5 Fall Alphabet Activities that Teach Math, too! 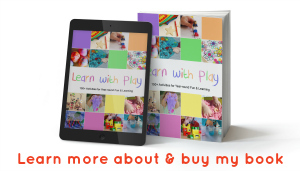 I love fall activities for preschoolers that teach more than one skill, don’t you? That’s what this post is all about! Using just a few fall items, my preschoolers had so much fun with these fall alphabet activities that also teach math skills! Be sure to read to the end of this post for all the fall alphabet activities and grab some fall printables for your preschoolers, too! 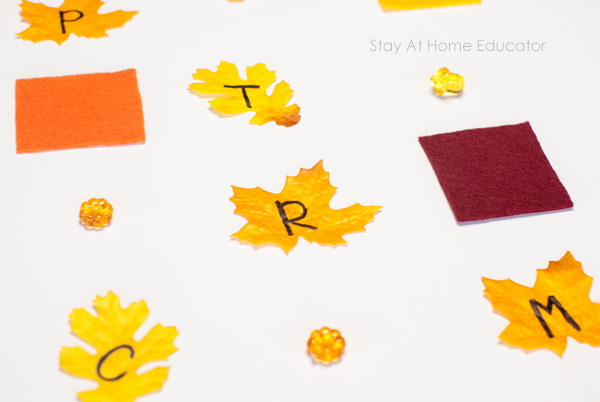 Teach Math with Fall Alphabet Activities for Preschoolers! Sometimes I feel like fall is just an extension of summer. Not because the weather gradually changes so pleasantly from blistering hot to, well, perfect, but really because fall seems crazy busy like summertime does! What with back-to-school nights, Labor Day activities, and the giant fall activities bucket list, I feel like there is a little bit of pressure to still do it all! And that’s problematic because what I really want to do is sit on my back porch and watch my kids play in the leaves our new Sycamore tree is just starting to drop. I certainly don’t want to spend it worrying about what I’m teaching tomorrow in preschool and if I’m hitting all the target skills. Which is exactly why activities like this one are so awesome! 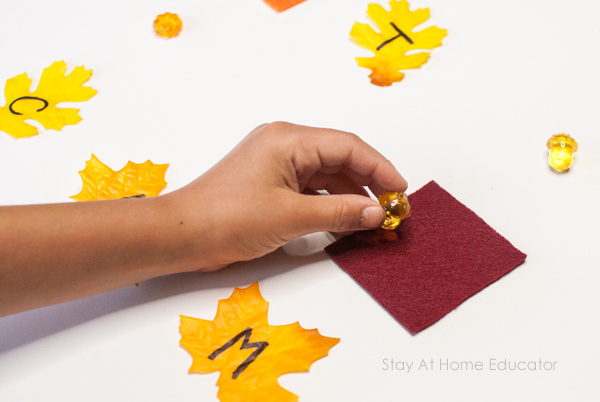 You get to “kill two birds with one stone.” Fall alphabet activities and fall math activities with a single, small set of autumn themed materials. I want to first share with you this one activity, then I’ll share with you four more fall activities, using this same set of materials. Gotta’ love alphabet activities that can also target important math skills! Why Teach Location Words, You Ask? Location words are super important to teach! Have you ever tried to use the following (or something similar)? You can walk ahead of me, but please stop in front of the red fence. Will you grab the wipes for me? They are next to the diapers. Put the blocks on top of the book so you don’t drop them as you put them away. Go through that opening in the weeds and get your Frisbee. The cups go in the drawer above the plates. There is more toilet paper under the sink. 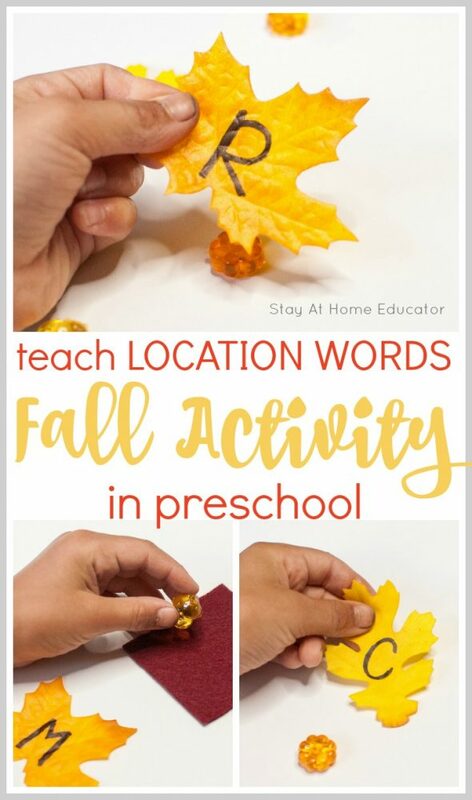 So, this activity will teach your preschooler location words in addition to reviewing letters, and all in a fall theme! First, use a permanent marker to write some letters on the leaves. I chose to use letters we had already learned in preschool, so this could be used as a reinforcement activity. 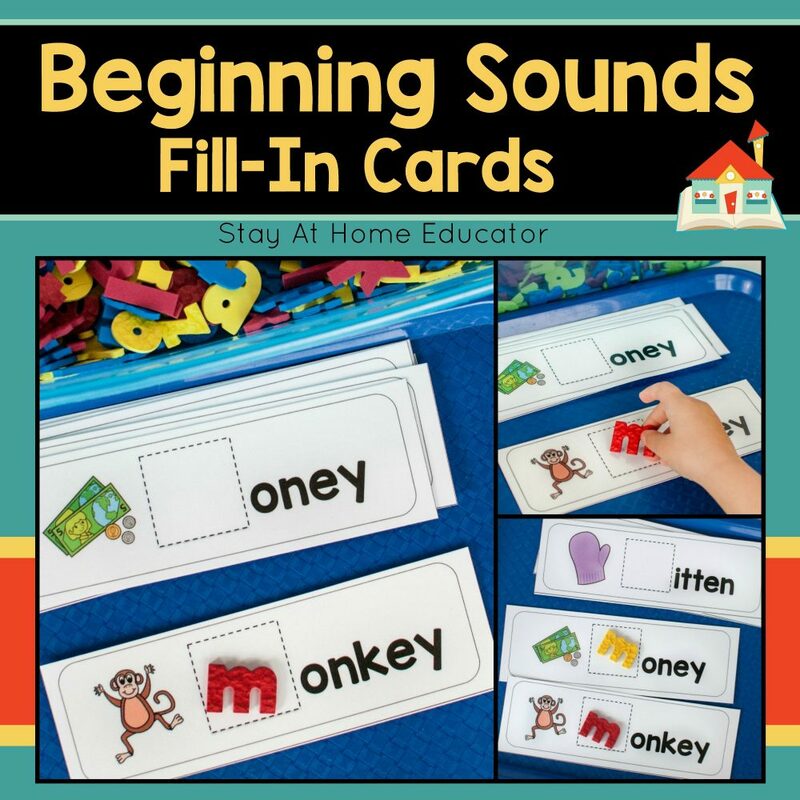 I used the first six letters in my preschool phonics lesson plans so that it paired nicely with other alphabet activities we do as practice. Now, place a set of items in random order in a grid-like format. 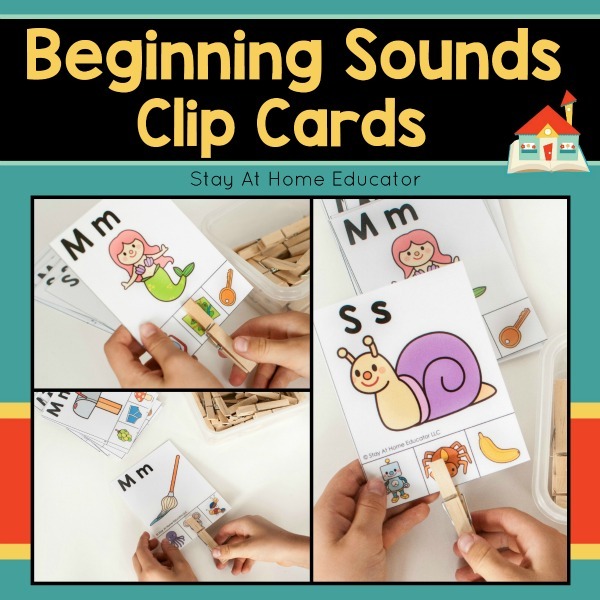 Limit the items to 12-15 (even 6-9 for young preschoolers) when starting, and as your preschooler gets the hang of this activity you can gradually increase the grid to up to 20-24 items. 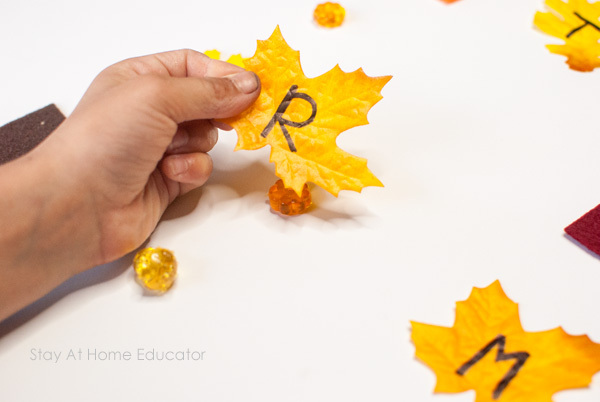 A Fall Alphabet Activity that Teaches Location Words, too! Give your preschooler a direction to move an item on the grid, making sure to use location words. Oh, and the grid will get messed up, but that is completely okay, so don’t stress about how tidy it looks. Or doesn’t look. Put the letter R above a pumpkin. Place a felt square over an acorn. Put a pumpkin on top of a felt square. Move the yellow felt square next to the letter M leaf. Place a pumpkin between two felt squares. 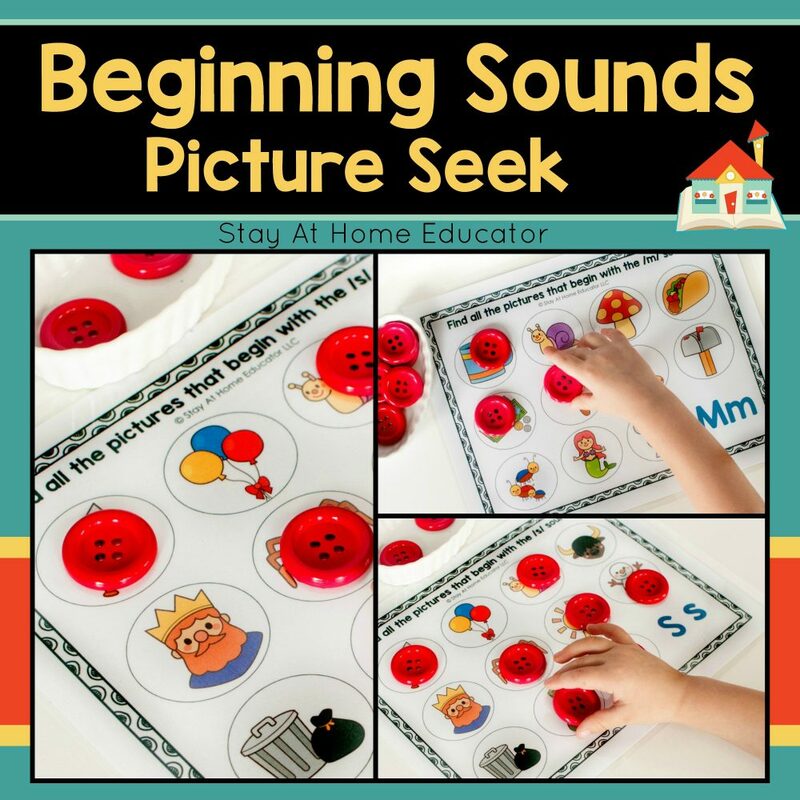 The directions you give your preschooler will depend on the set-up you created. There’s no need to write anything down, just try to target different location words, or if your preschooler is new to location words, then focus on only a few location words and use them over and over again. Remember how I said I especially love activities that teach both math and literacy? Well, below the images are even more ideas on how to teach fall alphabet activities that also teach math skills. Bonus, right?! Here are some other ways to use the same set of materials to teach literacy and math in preschool. Do the above activity with only the leaf letters. Use both upper and lower case letters. Match upper and lower case leaf letters and then use the other materials to make patterns within the letter sets. Make a grid on a piece of poster board, and write a letter in each square. Give your preschooler directions on how to cover each letter. Do the location words activity in this post backward. Have your preschooler give the directions and you move the pieces! Or, have your preschooler explain each move he makes himself. 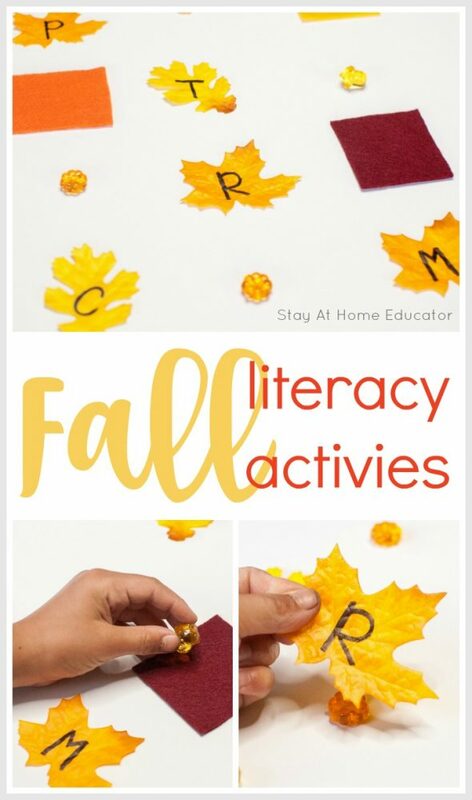 Keep reading for even more fall activities! Need Some Activities for your Fall Lesson Plans? 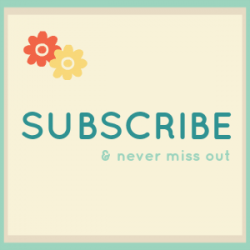 You’ll love all the fall activities I have here! This is an ever-changing page as I am constantly updating it with my newest and best fall activities for preschoolers! 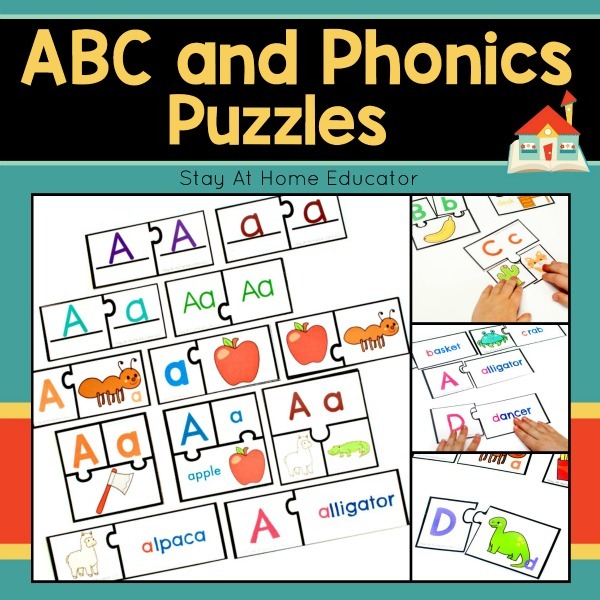 Looking for Alphabet Printables for Preschoolers? 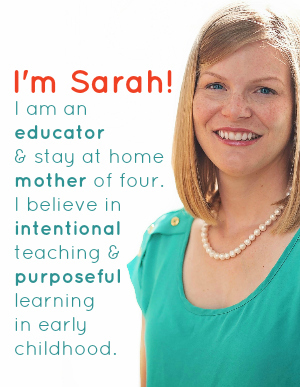 Here are some of my most popular alphabet printables for preschoolers!